Theme song (instrumental) by Ernest Gold from the 1960 movie Exodus. 33The Egyptians urged the people to hasten their departure from the land, for they said, “We shall all be dead.” 34So the people took their dough before it was leavened, with their kneading bowls wrapped up in their cloaks on their shoulders. 35The Israelites had done as Moses told them; they had asked the Egyptians for jewelry of silver and gold, and for clothing, 36and the Lord had given the people favor in the sight of the Egyptians, so that they let them have what they asked. And so they plundered the Egyptians.37The Israelites journeyed from Rameses to Succoth, about six hundred thousand men on foot, besides children. 38A mixed crowd also went up with them, and livestock in great numbers, both flocks and herds. 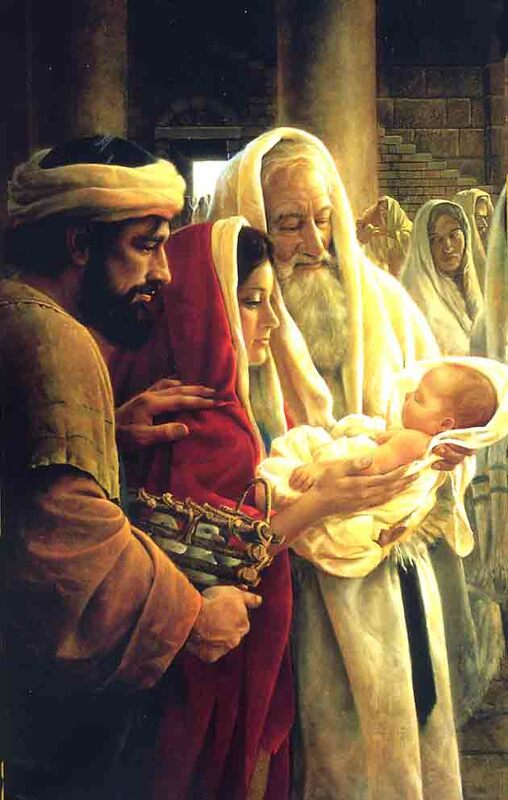 39They baked unleavened cakes of the dough that they had brought out of Egypt; it was not leavened, because they were driven out of Egypt and could not wait, nor had they prepared any provisions for themselves. 40The time that the Israelites had lived in Egypt was four hundred thirty years. 41At the end of four hundred thirty years, on that very day, all the companies of the Lord went out from the land of Egypt. 42That was for the Lord a night of vigil, to bring them out of the land of Egypt. That same night is a vigil to be kept for the Lord by all the Israelites throughout their generations. 43The Lord said to Moses and Aaron: This is the ordinance for the passover: no foreigner shall eat of it, 44but any slave who has been purchased may eat of it after he has been circumcised; 45no bound or hired servant may eat of it. 46It shall be eaten in one house; you shall not take any of the animal outside the house, and you shall not break any of its bones. 47The whole congregation of Israel shall celebrate it. 48If an alien who resides with you wants to celebrate the passover to the Lord, all his males shall be circumcised; then he may draw near to celebrate it; he shall be regarded as a native of the land. But no uncircumcised person shall eat of it; 49there shall be one law for the native and for the alien who resides among you. 50All the Israelites did just as the Lord had commanded Moses and Aaron. 51That very day the Lord brought the Israelites out of the land of Egypt, company by company. 13) The Lord said to Moses: 2Consecrate to me all the firstborn; whatever is the first to open the womb among the Israelites, of human beings and animals, is mine. 3Moses said to the people, “Remember this day on which you came out of Egypt, out of the house of slavery, because the Lord brought you out from there by strength of hand; no leavened bread shall be eaten. 4Today, in the month of Abib, you are going out. 5When the Lord brings you into the land of the Canaanites, the Hittites, the Amorites, the Hivites, and the Jebusites, which he swore to your ancestors to give you, a land flowing with milk and honey, you shall keep this observance in this month. 6Seven days you shall eat unleavened bread, and on the seventh day there shall be a festival to the Lord. 7Unleavened bread shall be eaten for seven days; no leavened bread shall be seen in your possession, and no leaven shall be seen among you in all your territory. 8You shall tell your child on that day, ‘It is because of what the Lord did for me when I came out of Egypt.’ 9It shall serve for you as a sign on your hand and as a reminder on your forehead, so that the teaching of the Lord may be on your lips; for with a strong hand the Lord brought you out of Egypt. 10You shall keep this ordinance at its proper time from year to year. 11“When the Lord has brought you into the land of the Canaanites, as he swore to you and your ancestors, and has given it to you, 12you shall set apart to the Lord all that first opens the womb. All the firstborn of your livestock that are males shall be the Lord’s. 13But every firstborn donkey you shall redeem with a sheep; if you do not redeem it, you must break its neck. Every firstborn male among your children you shall redeem. 17When Pharaoh let the people go, God did not lead them by way of the land of the Philistines, although that was nearer; for God thought, “If the people face war, they may change their minds and return to Egypt.” 18So God led the people by the roundabout way of the wilderness toward the Red Sea. Do you cheerfully follow the Lord even when the way seems winding and uncertain? God is a faithful guide! The Israelites went up out of the land of Egypt prepared for battle. 20They set out from Succoth, and camped at Etham, on the edge of the wilderness. 21The Lord went in front of them in a pillar of cloud by day, to lead them along the way, and in a pillar of fire by night, to give them light, so that they might travel by day and by night. 22Neither the pillar of cloud by day nor the pillar of fire by night left its place in front of the people. 11) The Lord said to Moses, “I will bring one more plague upon Pharaoh and upon Egypt; afterwards he will let you go from here; indeed, when he lets you go, he will drive you away. 2Tell the people that every man is to ask his neighbor and every woman is to ask her neighbor for objects of silver and gold.” 3The Lord gave the people favor in the sight of the Egyptians. Moreover, Moses himself was a man of great importance in the land of Egypt, in the sight of Pharaoh’s officials and in the sight of the people. 4Moses said, “Thus says the Lord: About midnight I will go out through Egypt. 5Every firstborn in the land of Egypt shall die, from the firstborn of Pharaoh who sits on his throne to the firstborn of the female slave who is behind the handmill, and all the firstborn of the livestock. 6Then there will be a loud cry throughout the whole land of Egypt, such as has never been or will ever be again. 7But not a dog shall growl at any of the Israelites—not at people, not at animals—so that you may know that the Lord makes a distinction between Egypt and Israel. 8Then all these officials of yours shall come down to me, and bow low to me, saying, ‘Leave us, you and all the people who follow you.’ After that I will leave.” And in hot anger he left Pharaoh. 9The Lord said to Moses, “Pharaoh will not listen to you, in order that my wonders may be multiplied in the land of Egypt.” 10Moses and Aaron performed all these wonders before Pharaoh; but the Lord hardened Pharaoh’s heart, and he did not let the people of Israel go out of his land. 12) The Lord said to Moses and Aaron in the land of Egypt: 2“This month shall mark for you the beginning of months; it shall be the first month of the year for you. 3Tell the whole congregation of Israel that on the tenth of this month they are to take a lamb for each family, a lamb for each household. 4If a household is too small for a whole lamb, it shall join its closest neighbour in obtaining one; the lamb shall be divided in proportion to the number of people who eat of it. 5Your lamb shall be without blemish, a year-old male; you may take it from the sheep or from the goats. 6You shall keep it until the fourteenth day of this month; then the whole assembled congregation of Israel shall slaughter it at twilight. 7They shall take some of the blood and put it on the two doorposts and the lintel of the houses in which they eat it. 8They shall eat the lamb that same night; they shall eat it roasted over the fire with unleavened bread and bitter herbs. 9Do not eat any of it raw or boiled in water, but roasted over the fire, with its head, legs, and inner organs. 10You shall let none of it remain until the morning; anything that remains until the morning you shall burn. 11This is how you shall eat it: your loins girded, your sandals on your feet, and your staff in your hand; and you shall eat it hurriedly. It is the passover of the Lord. 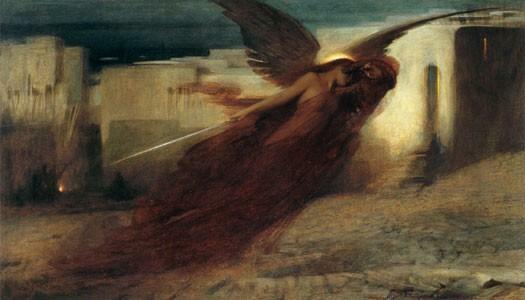 12″For I will pass through the land of Egypt that night, and I will strike down every firstborn in the land of Egypt, both human beings and animals; on all the gods of Egypt I will execute judgements: I am the Lord. 13The blood shall be a sign for you on the houses where you live: when I see the blood, I will pass over you, and no plague shall destroy you when I strike the land of Egypt. Life is in the blood, and I have given you the blood of animals to sacrifice in place of your own. The Law says that almost everything must be sprinkled with blood, and no sins can be forgiven unless blood is offered. You were rescued from the useless way of life that you learned from your ancestors. But you know that you were not rescued by such things as silver or gold that don’t last forever. You were rescued by the precious blood of Christ, that spotless and innocent lamb. 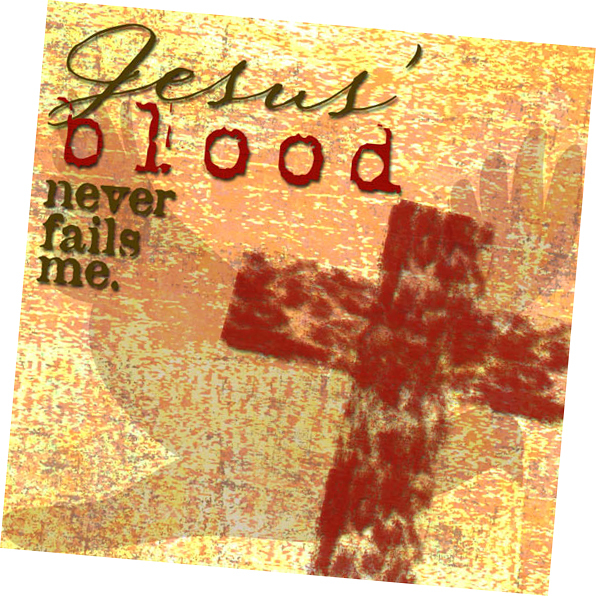 Thank you, Lord, for salvation through the shed blood of Jesus Christ. 14 “This day shall be a day of remembrance for you. You shall celebrate it as a festival to the Lord; throughout your generations you shall observe it as a perpetual ordinance. 15Seven days you shall eat unleavened bread; on the first day you shall remove leaven from your houses, for whoever eats leavened bread from the first day until the seventh day shall be cut off from Israel. 16On the first day you shall hold a solemn assembly, and on the seventh day a solemn assembly; no work shall be done on those days; only what everyone must eat, that alone may be prepared by you. 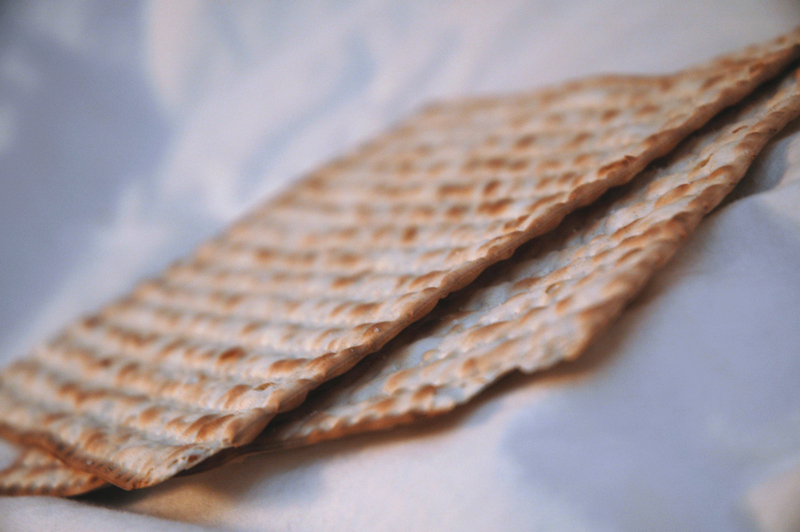 Matzoh is a cracker-like flatbread made of plain white flour and water -- no yeast or leavening. 17″You shall observe the festival of unleavened bread, for on this very day I brought your companies out of the land of Egypt: you shall observe this day throughout your generations as a perpetual ordinance. 18In the first month, from the evening of the fourteenth day until the evening of the twenty-first day, you shall eat unleavened bread. 19For seven days no leaven shall be found in your houses; for whoever eats what is leavened shall be cut off from the congregation of Israel, whether an alien or a native of the land. 20You shall eat nothing leavened; in all your settlements you shall eat unleavened bread. Stop being proud! Don’t you know how a little yeast can spread through the whole batch of dough? Get rid of the old yeast! Then you will be like fresh bread made without yeast, and that is what you are. 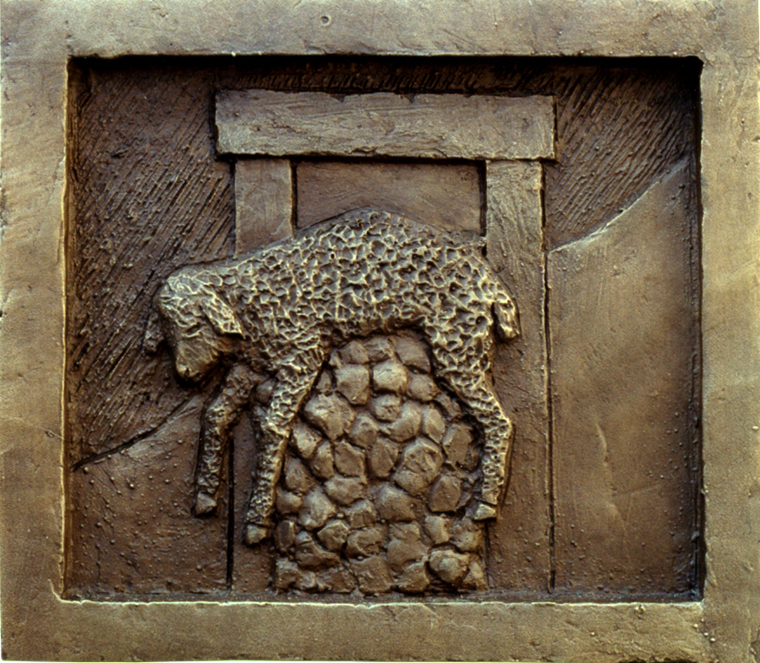 Our Passover lamb is Christ, who has already been sacrificed. So don’t celebrate the festival by being evil and sinful, which is like serving bread made with yeast. Be pure and truthful and celebrate by using bread made without yeast. 21 Then Moses called all the elders of Israel and said to them, ‘Go, select lambs for your families, and slaughter the passover lamb. 22Take a bunch of hyssop, dip it in the blood that is in the basin, and touch the lintel and the two doorposts with the blood in the basin. None of you shall go outside the door of your house until morning. 23For the Lord will pass through to strike down the Egyptians; when he sees the blood on the lintel and on the two doorposts, the Lord will pass over that door and will not allow the destroyer to enter your houses to strike you down. 24″You shall observe this rite as a perpetual ordinance for you and your children. 25When you come to the land that the Lord will give you, as he has promised, you shall keep this observance. 26And when your children ask you, “What do you mean by this observance?” 27you shall say, “It is the passover sacrifice to the Lord, for he passed over the houses of the Israelites in Egypt, when he struck down the Egyptians but spared our houses.” ’ And the people bowed down and worshipped. 29 At midnight the Lord struck down all the firstborn in the land of Egypt, from the firstborn of Pharaoh who sat on his throne to the firstborn of the prisoner who was in the dungeon, and all the firstborn of the livestock. 30Pharaoh arose in the night, he and all his officials and all the Egyptians; and there was a loud cry in Egypt, for there was not a house without someone dead. “The Death of the Pharaoh’s First-Born Son” by Sir Lawrence Alma-Tadema, 1872 (Rijksmuseum, Amsterdam). Too large and detailed to place on the blog. Three days of darkness showed that the God of Moses was greater than Ra, the sun god of Egypt. 3So Moses and Aaron went to Pharaoh, and said to him, “Thus says the Lord, the God of the Hebrews, ‘How long will you refuse to humble yourself before me? Let my people go, so that they may worship me. “Let My People Go” sung by Jeane Manson. 4For if you refuse to let my people go, tomorrow I will bring locusts into your country. 5They shall cover the surface of the land, so that no one will be able to see the land. They shall devour the last remnant left you after the hail, and they shall devour every tree of yours that grows in the field. 6They shall fill your houses, and the houses of all your officials and of all the Egyptians—something that neither your parents nor your grandparents have seen, from the day they came on earth to this day.’“ Then he turned and went out from Pharaoh. 10He said to them, “The Lord indeed will be with you, if ever I let your little ones go with you! Plainly, you have some evil purpose in mind. 11No, never! Your men may go and worship the Lord, for that is what you are asking.” And they were driven out from Pharaoh’s presence. 13So Moses stretched out his staff over the land of Egypt, and the Lord brought an east wind upon the land all that day and all that night; when morning came, the east wind had brought the locusts. 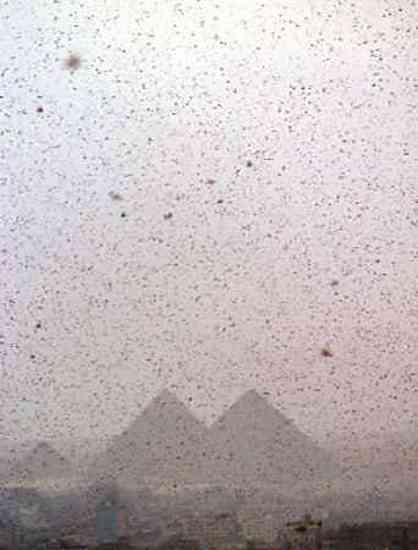 14The locusts came upon all the land of Egypt and settled on the whole country of Egypt, such a dense swarm of locusts as had never been before, nor ever shall be again. 15They covered the surface of the whole land, so that the land was black; and they ate all the plants in the land and all the fruit of the trees that the hail had left; nothing green was left, no tree, no plant in the field, in all the land of Egypt. 18So he went out from Pharaoh and prayed to the Lord. 19The Lord changed the wind into a very strong west wind, which lifted the locusts and drove them into the Red Sea; not a single locust was left in all the country of Egypt. 20But the Lord hardened Pharaoh’s heart, and he would not let the Israelites go. 21Then the Lord said to Moses, “Stretch out your hand toward heaven so that there may be darkness over the land of Egypt, a darkness that can be felt.” 22So Moses stretched out his hand toward heaven, and there was dense darkness in all the land of Egypt for three days. 23People could not see one another, and for three days they could not move from where they were; but all the Israelites had light where they lived. 9) Then the Lord said to Moses, “Go to Pharaoh, and say to him, ‘Thus says the Lord, the God of the Hebrews: Let my people go, so that they may worship me. “Let My People Go” Dixieland-style. Tamas Berki and the Cotton Club Singers, Budapest, 1996. 5The Lord set a time, saying, “Tomorrow the Lord will do this thing in the land.” 6And on the next day the Lord did so; all the livestock of the Egyptians died, but of the livestock of the Israelites not one died. 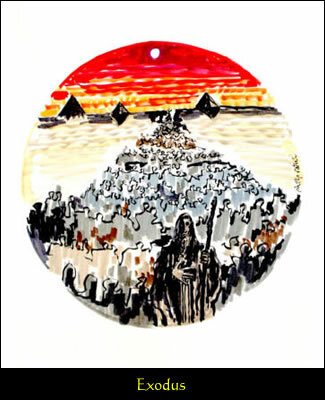 7Pharaoh inquired and found that not one of the livestock of the Israelites was dead. But the heart of Pharaoh was hardened, and he would not let the people go. 10So they took soot from the kiln, and stood before Pharaoh, and Moses threw it in the air, and it caused festering boils on humans and animals. 11The magicians could not stand before Moses because of the boils, for the boils afflicted the magicians as well as all the Egyptians. 12But the Lord hardened the heart of Pharaoh, and he would not listen to them, just as the Lord had spoken to Moses. 20Those officials of Pharaoh who feared the word of the Lord hurried their slaves and livestock off to a secure place. 21Those who did not regard the word of the Lord left their slaves and livestock in the open field. 22The Lord said to Moses, “Stretch out your hand toward heaven so that hail may fall on the whole land of Egypt, on humans and animals and all the plants of the field in the land of Egypt.” 23Then Moses stretched out his staff toward heaven, and the Lord sent thunder and hail, and fire came down on the earth. 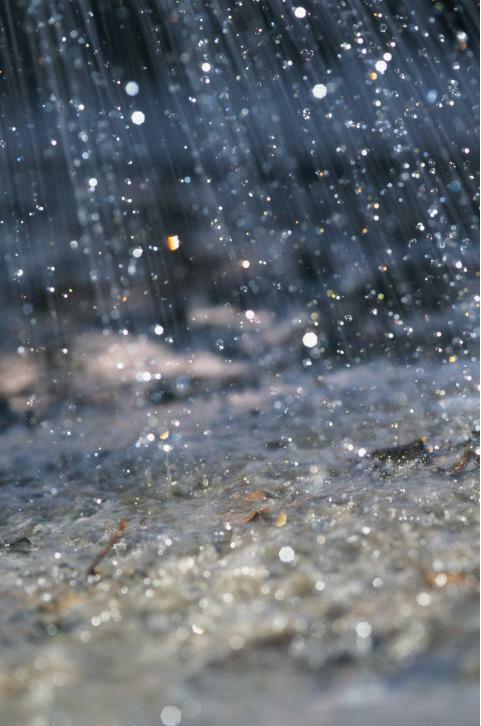 And the Lord rained hail on the land of Egypt; 24there was hail with fire flashing continually in the midst of it, such heavy hail as had never fallen in all the land of Egypt since it became a nation. 25The hail struck down everything that was in the open field throughout all the land of Egypt, both human and animal; the hail also struck down all the plants of the field, and shattered every tree in the field. 26Only in the land of Goshen, where the Israelites were, there was no hail. 33So Moses left Pharaoh, went out of the city, and stretched out his hands to the Lord; then the thunder and the hail ceased, and the rain no longer poured down on the earth. 34But when Pharaoh saw that the rain and the hail and the thunder had ceased, he sinned once more and hardened his heart, he and his officials. 35So the heart of Pharaoh was hardened, and he would not let the Israelites go, just as the Lord had spoken through Moses. 6So Aaron stretched out his hand over the waters of Egypt; and the frogs came up and covered the land of Egypt. 7But the magicians did the same by their secret arts, and brought frogs up on the land of Egypt. “Their Land Brought Forth Frogs” from the oratorio Israel in Egypt by George Frideric Handel (1685-1759). Note how the accompaniment hops while the soloist bemoans the frogs “even in their king’s chambers.” Sung by mezzo soprano Fabiana Katz, with Stephen Smith on the piano. 12Then Moses and Aaron went out from Pharaoh; and Moses cried out to the Lord concerning the frogs that he had brought upon Pharaoh. 13And the Lord did as Moses requested: the frogs died in the houses, the courtyards, and the fields. 14And they gathered them together in heaps, and the land stank. 15But when Pharaoh saw that there was a respite, he hardened his heart, and would not listen to them, just as the Lord had said. 16Then the Lord said to Moses, “Say to Aaron, ‘Stretch out your staff and strike the dust of the earth, so that it may become gnats throughout the whole land of Egypt.’“ 17And they did so; Aaron stretched out his hand with his staff and struck the dust of the earth, and gnats came on humans and animals alike; all the dust of the earth turned into gnats throughout the whole land of Egypt. 18The magicians tried to produce gnats by their secret arts, but they could not. There were gnats on both humans and animals. 19And the magicians said to Pharaoh, “This is the finger of God!” But Pharaoh’s heart was hardened, and he would not listen to them, just as the Lord had said. 24The Lord did so, and great swarms of flies came into the house of Pharaoh and into his officials’ houses; in all of Egypt the land was ruined because of the flies. 2God also spoke to Moses and said to him: “I am the Lord. 3I appeared to Abraham, Isaac, and Jacob as God Almighty, but by my name ‘The Lord’ I did not make myself known to them. 4I also established my covenant with them, to give them the land of Canaan, the land in which they resided as aliens. 5I have also heard the groaning of the Israelites whom the Egyptians are holding as slaves, and I have remembered my covenant. 9Moses told this to the Israelites; but they would not listen to Moses, because of their broken spirit and their cruel slavery. 12But Moses spoke to the Lord, “The Israelites have not listened to me; how then shall Pharaoh listen to me, poor speaker that I am?” 13Thus the Lord spoke to Moses and Aaron, and gave them orders regarding the Israelites and Pharaoh king of Egypt, charging them to free the Israelites from the land of Egypt. 14The following are the heads of their ancestral houses: the sons of Reuben, the firstborn of Israel: Hanoch, Pallu, Hezron, and Carmi; these are the families of Reuben. 15The sons of Simeon: Jemuel, Jamin, Ohad, Jachin, Zohar, and Shaul, the son of a Canaanite woman; these are the families of Simeon. 16The following are the names of the sons of Levi according to their genealogies: Gershon, Kohath, and Merari, and the length of Levi’s life was one hundred thirty-seven years. 17The sons of Gershon: Libni and Shimei, by their families. 18The sons of Kohath: Amram, Izhar, Hebron, and Uzziel, and the length of Kohath’s life was one hundred thirty-three years. 19The sons of Merari: Mahli and Mushi. These are the families of the Levites according to their genealogies. 20Amram married Jochebed his father’s sister and she bore him Aaron and Moses, and the length of Amram’s life was one hundred thirty-seven years. 21The sons of Izhar: Korah, Nepheg, and Zichri. 22The sons of Uzziel: Mishael, Elzaphan, and Sithri. 23Aaron married Elisheba, daughter of Amminadab and sister of Nahshon, and she bore him Nadab, Abihu, Eleazar, and Ithamar. 24The sons of Korah: Assir, Elkanah, and Abiasaph; these are the families of the Korahites. 25Aaron’s son Eleazar married one of the daughters of Putiel, and she bore him Phinehas. These are the heads of the ancestral houses of the Levites by their families. 26It was this same Aaron and Moses to whom the Lord said, “Bring the Israelites out of the land of Egypt, company by company.” 27It was they who spoke to Pharaoh king of Egypt to bring the Israelites out of Egypt, the same Moses and Aaron. 6Moses and Aaron did so; they did just as the Lord commanded them. 7Moses was eighty years old and Aaron eighty-three when they spoke to Pharaoh. 10So Moses and Aaron went to Pharaoh and did as the Lord had commanded; Aaron threw down his staff before Pharaoh and his officials, and it became a snake. 11Then Pharaoh summoned the wise men and the sorcerers; and they also, the magicians of Egypt, did the same by their secret arts. 12Each one threw down his staff, and they became snakes; but Aaron’s staff swallowed up theirs. 13Still Pharaoh’s heart was hardened, and he would not listen to them, as the Lord had said. “Let My People Go” sung by Doris Akers (1923-1995) and the Sky Pilot Choir of Los Angeles. 20Moses and Aaron did just as the Lord commanded. In the sight of Pharaoh and of his officials he lifted up the staff and struck the water in the river, and all the water in the river was turned into blood, 21and the fish in the river died. The river stank so that the Egyptians could not drink its water, and there was blood throughout the whole land of Egypt. 22But the magicians of Egypt did the same by their secret arts; so Pharaoh’s heart remained hardened, and he would not listen to them; as the Lord had said. 23Pharaoh turned and went into his house, and he did not take even this to heart. 24And all the Egyptians had to dig along the Nile for water to drink, for they could not drink the water of the river. “Let My People Go” arranged by Harry Burleigh and sung by Juares de Mira. You are currently browsing the DWELLING in the Word blog archives for August, 2009.